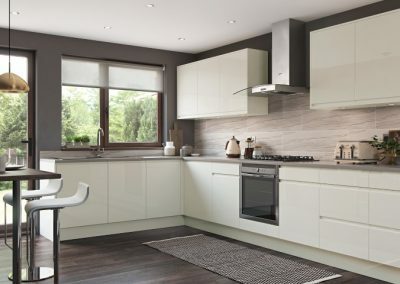 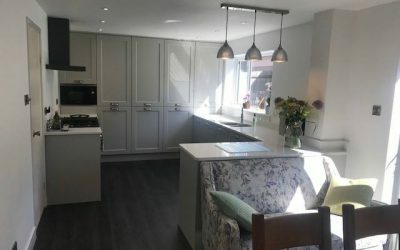 Handleless kitchens are all about the door design. 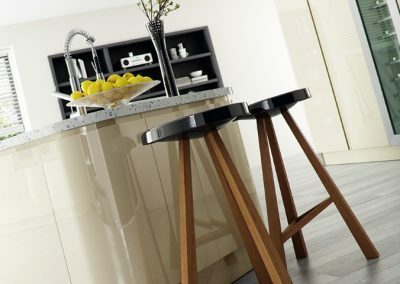 They are visually stunning and are available in a variety of colours and finishes. 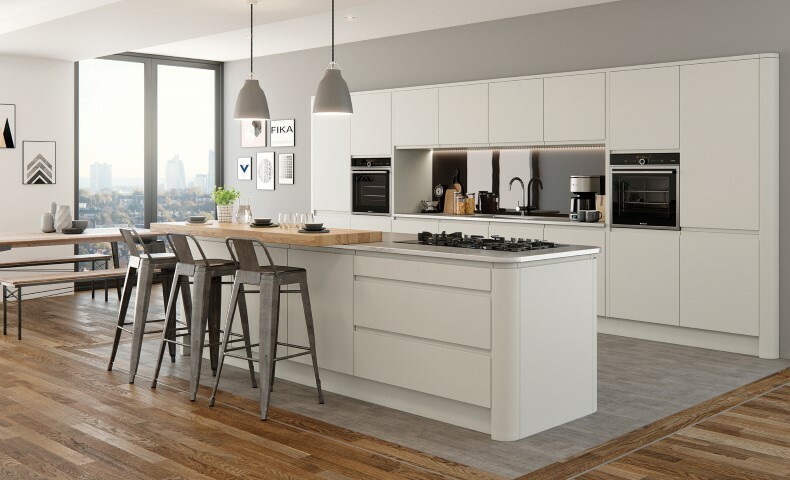 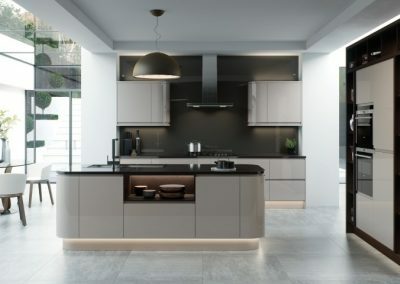 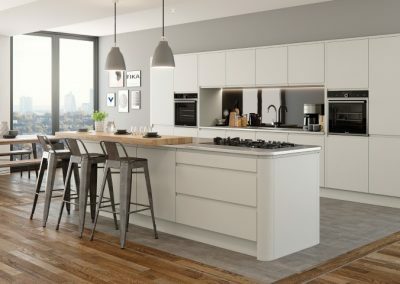 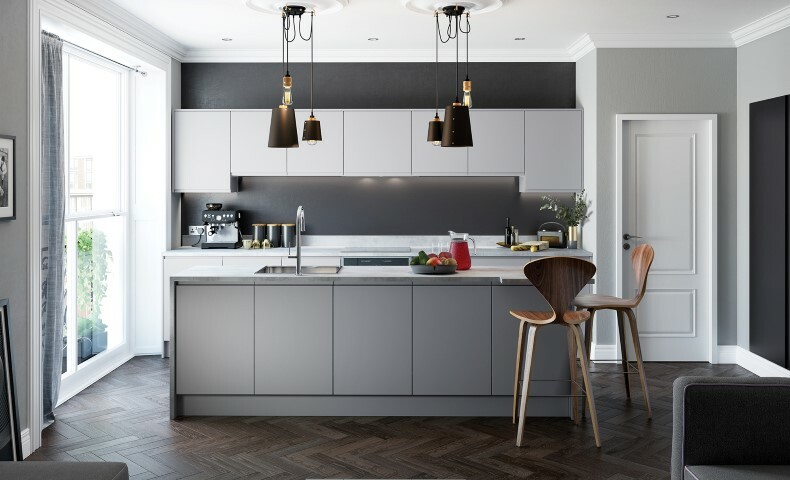 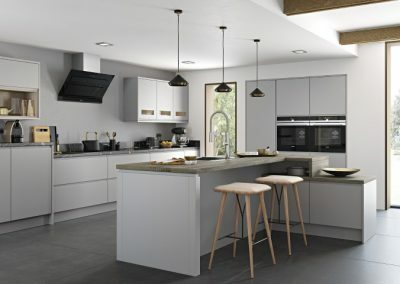 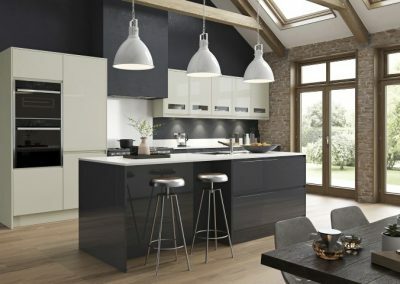 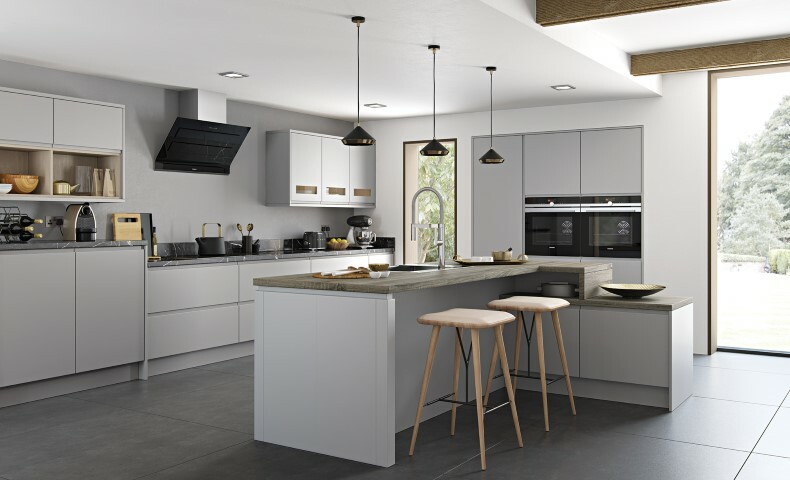 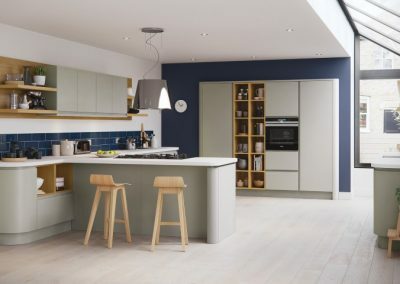 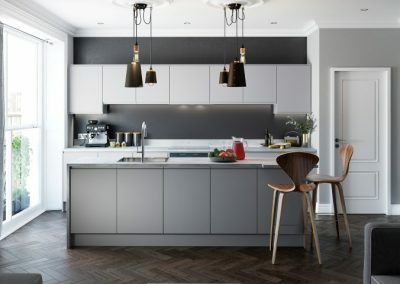 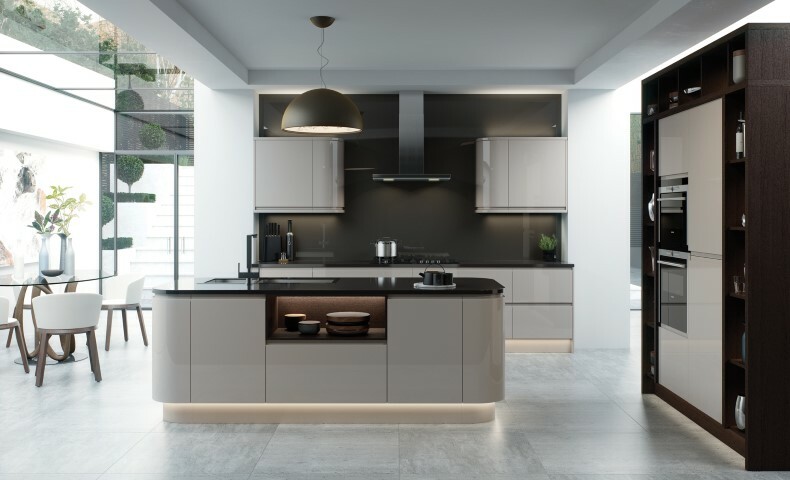 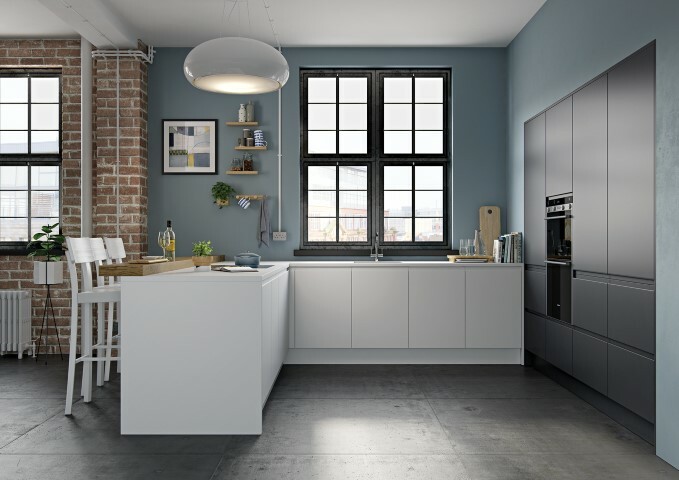 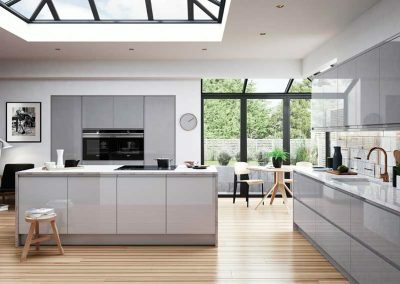 The flawless, high-end look of a handleless kitchen is the ultimate minimalist dream. 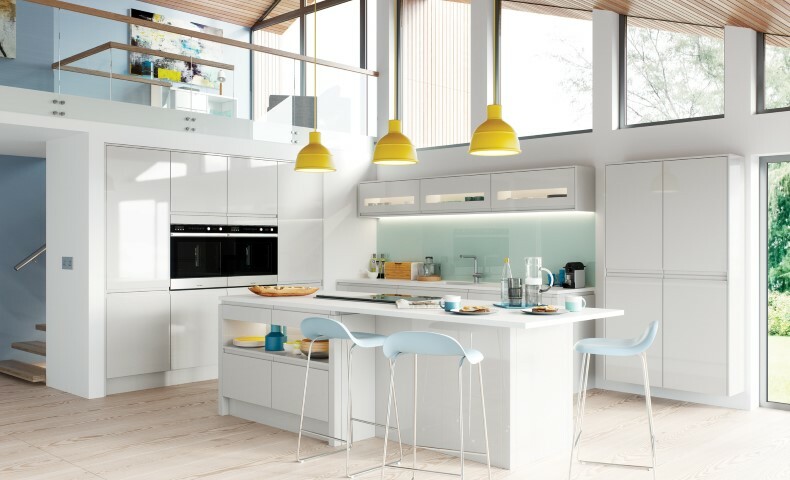 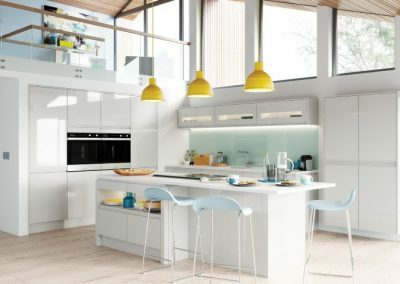 This modern kitchen will help you create stunning results. 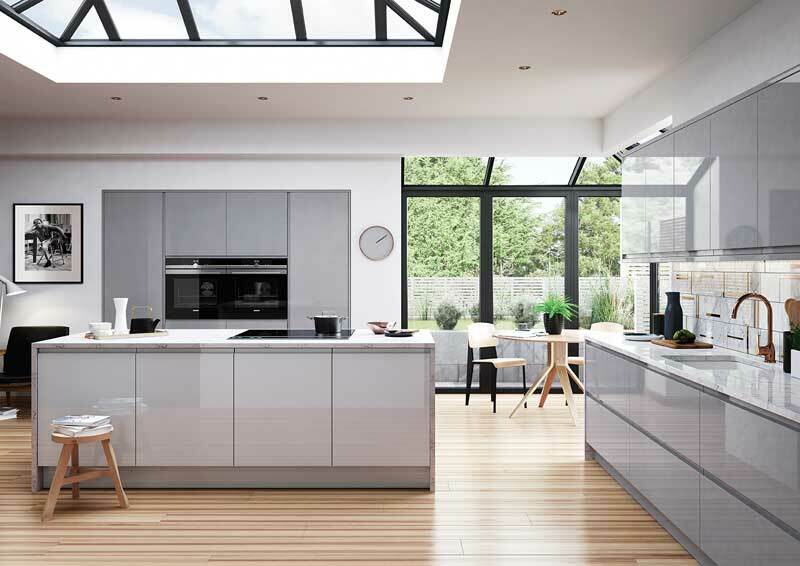 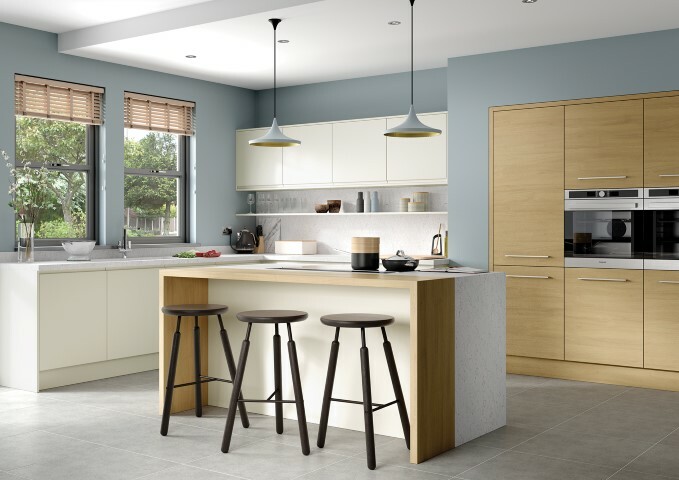 The combination of a flat slab door with an integrated handle profile creates a clean contemporary linear look, whilst clean lines flow effortlessly to present a simple and uncomplicated contemporary look. 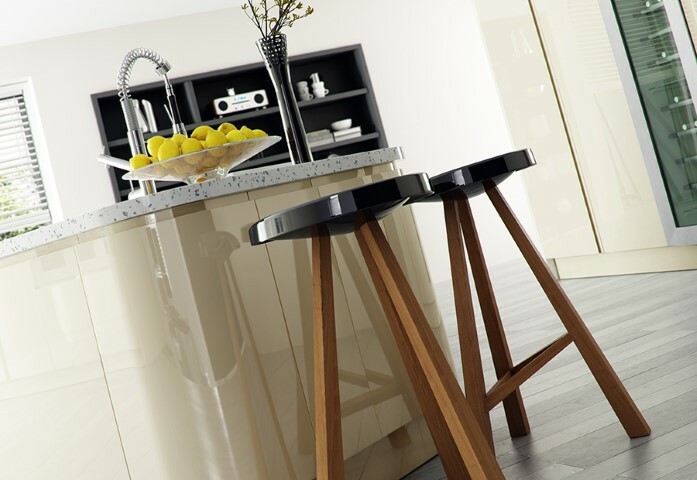 With a flawless, mirror-like finish, this is a high-end way to add “modern and stylish” to your dinner conversations. Includes options for clear letterbox feature frames for your cupboards too. 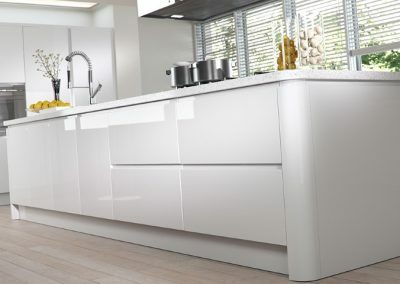 If you’re looking for silky, durable and blemish free finish to add elegance to your kitchen, look no further than this cutting-edge design. 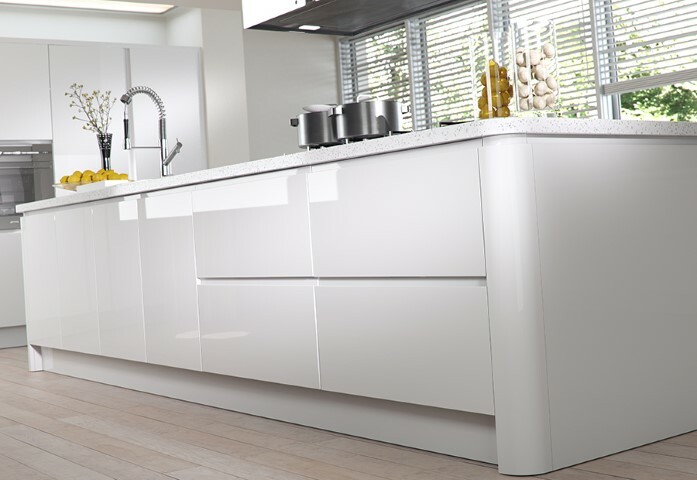 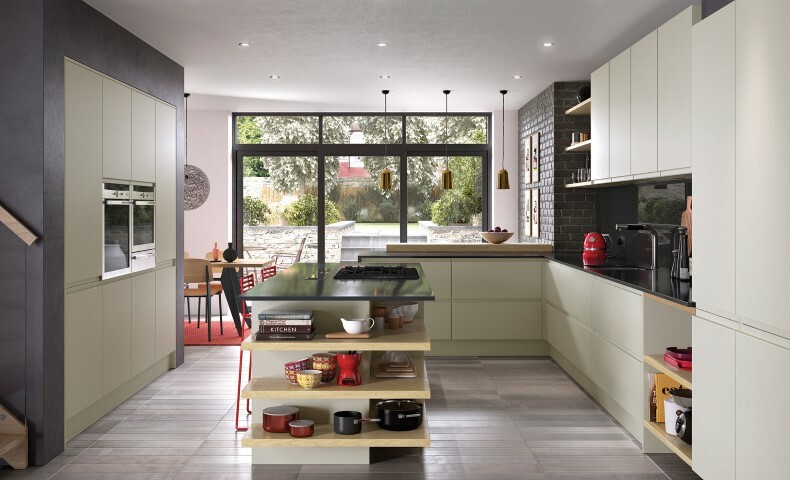 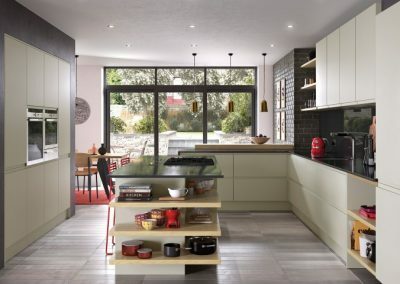 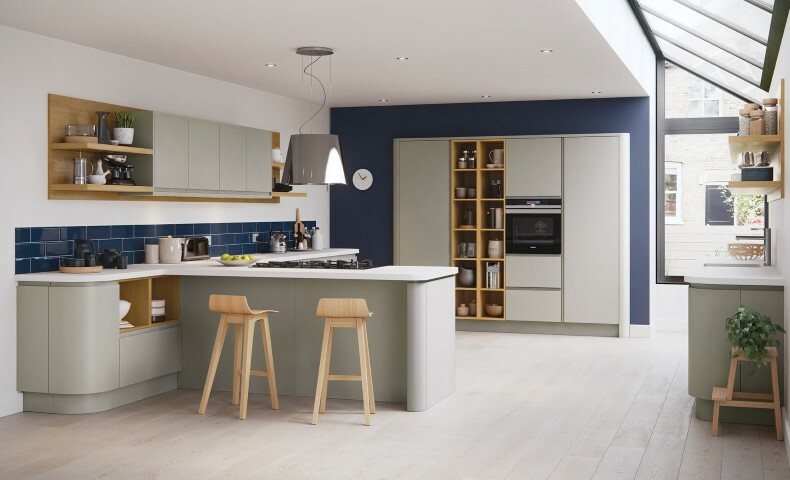 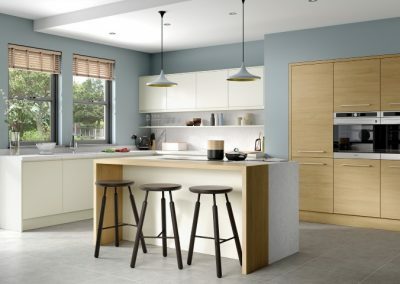 With its curved doors, overlapping corner posts and quadrant mouldings you never want to leave your kitchen.